The last clash between these two kicked off with ultras throwing flares into our stand, and stealing our supporters flags. 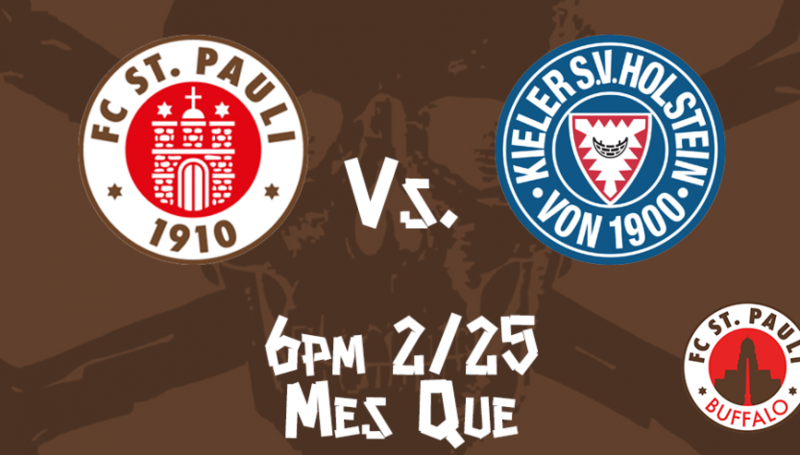 Now, we welcome Kiel to Millerntor for what will hopefully be a fun one! Join us at Mes Que, at 1420 Hertel Ave in Buffalo!